LEKORNE, France, Jul 23 2014 (IPS) - The government of Mali and Touareg rebels representing Azawad, a territory in northern Mali which declared unilateral independence in 2012 after a Touareg rebellion drove out the Malian army, resumed peace talks in Algiers last week, intended to end decades of conflict. The talks, being held behind closed doors, are expected to end on July 24. Negotiations between Bamako and representatives of six northern Mali armed groups, among which the National Movement for the Liberation of Azawad (MNLA) is the strongest, kicked off in Algiers on July 16. Diplomats from Mauritania, Niger, Chad, Burkina Faso, the Economic Community of West African States (ECOWAS) and other international bodies are also attending the discussions. IPS spoke with writer and a journalist Moussa Ag Assarid, MNLA spokesperson in Europe. You declared your independent state in April 2012 but no one has recognised it yet. Why is that? We are not for a Touareg state but for a secular and democratic multi-ethnic model of country. We, Touaregs, may be a majority among Azawad population but there are also Arabs, Shongays and Peulas and we´re working in close coordination with them. Since Mali´s independence in 1960, the people from Azawad have repeatedly stated that we don´t want to be part of that country. We do have the support of many people all around the globe but the states and the international organisations such as the United Nations prefer to tackle the issue without breaking the established order. And this is why both the United Nations and Mali refer to “jihadism”, and not to the legitimate struggle for freedom of the Azawad people. However, we are witnessing a reorganisation of the world order amid significant movements in northern Africa, the Middle East, and even Europe, as in the case of the Ukraine. It´s very much a clear proof of the failure of globalisation and the world´s management. The French intervention in the 2012 war was seemingly a key factor on your side. How do you asses the former colonial power´s role in the region? The French have always been there, even after Mali´s independence, because they have huge strategic interests in the area as well as natural resources such as the uranium they rely on. In fact, you could say that our independence has been confiscated by both the international community and France. The former Malian soldiers have been replaced by the U.N. ones but the Malian army keeps committing all sort of abuses against civilians, from arbitrary arrests to deportations or enforced disappearances, all of which take place without the French and the U.N. soldiers lifting a finger. Meanwhile, Bamako calls on the French state to support them under the pretext they are fighting against Jihadism. Another worrying issue is the media blackout imposed on us. 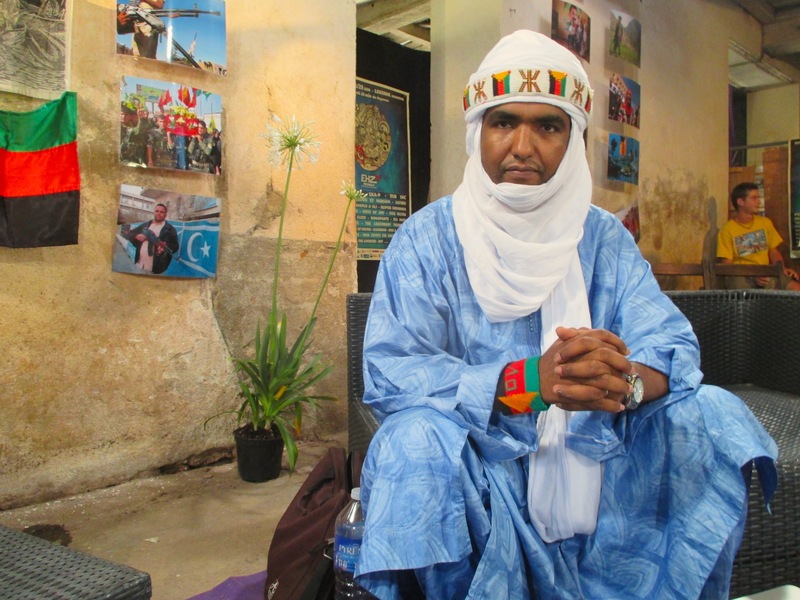 Reporters are prevented from coming to Azawad so the information is filtered through Bamako-based reporters who talk about “Mali´s north”, who refuse to speak about our struggle and who become spokesmen and defenders of the Malian state. So what is the real presence, if any, of the Malian state in Azawad? Mali´s army and its administration fled in 2012 and the state is only present in the areas protected by the French army, in Gao and Tombouktou. Paris has around 1,000 soldiers deployed in the area, the United Nations has 8,000 blue helmets in the whole country, and there are between 12,000 and 15,000 fighters in the ranks of the MNLA. We coordinate ourselves with the Arab Movement of Azawad and the High Council for the Unity of Azawad. Alongside these two groups we hold control of 90 percent of Azawad, but we are living under extremely difficult conditions. We obviously don´t get any support from either Mali or Algeria and we have to cope with a terrible drought. We rely on the meat and the milk of our goats, like we´ve done from time immemorial and we fight with the weapons we confiscated from the Malian Army, the Jihadists, or those we once got from Libya. You mention Libya. Many claim that the MNLA fighters fought on the side of Gaddafi during the Libyan war in 2011. Is that right? Many media networks insist on distorting the facts. Gaddafi did grant Libyan citizenship to the Touaregs but he later used them to fight in Palestine, Lebanon or Chad. In 1990, they went back to Azawad to fight against the Malian army and, even if we had the chance, we did not make the mistake of fighting against the Libyan people in 2011. Gaddafi gave Touaregs weapons to fight in Benghazi but the Touareg decided to go to Kidal and set up the MNLA. It´s completely false that the MNLA is formed by Touaregs who came from Libya. Many of our fighters have never been there, neither have I. Do Islamic extremists still pose a major concern in Azawad? In January 2013, AQMI (Al Qaeda in the Islamic Maghreb), MUJAO (Movement for Unity and Jihad in West Africa), a splinter group of AQMI and Ansar Dine attacked the Malian army on the border between Mali and Azawad. Mali´s president asked for help from Paris to oust them but it´s us, the MNLA, who have been fighting the Jihadists since June 2012. The United States, the United Kingdom and France claim to fight against Al Qaeda but it´s us who do it on the ground. Ansar Dine has given no sign of life for over a year but AQMI and MUJAO are still active. One of the most outrageous issues is that Bamako had had strong links with AQMI in the past, or even backed Ansar Dine, whose leader is a Touareg but the people under his command are just a criminal gang. Today, the Jihadists backed by Bamako have become stronger than the Malian army itself. Are you optimistic about the ongoing talks with Bamako? So far we have signed all sorts of agreements but none of them has ever been respected. Accordingly, we have already discarded the stage in which we would accept autonomy, or even a federal state. At this point, we have come to the conclusion that the only way to solve this conflict is to achieve our independence and live in freedom and peace in our land. 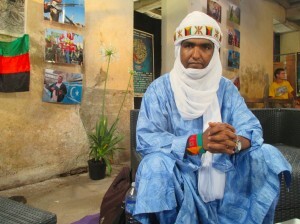 Mali has never fulfilled its word so that´s why we call on the international community, France and the United Nations.